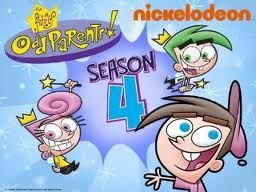 You will Watch The Fairly OddParents Season 6 Episode 10 online for free episodes with HQ / high quality. Stream cartoons The Fairly OddParents Episode 77 9 Lives / Dread and Breakfast. ” 9 Lives”: After Catman keeps injuring himself and others by crime-fighting, Timmy convinces him to quit being a hero by telling him that he has used up all but one of his nine lives. With the now-retired Catman living with him,Timmy tries to find a safer job for him, but each job leads to someone/something getting attacked. “Dread and Breakfast”: When Timmy’s dad, quits his job to become a sock monkey salesman (which fails horribly because no one wants to buy one because according to the episode “they don’t do anything”) the Turners turn their house into a bread and breakfast to avoid bankruptcy. Unfortunately, their first guests are Mr. Crocker, Dark Laser, and Tootie. Timmy can’t make any wishes because if he does, Crocker’s Magic Sensors will track the magic back to his fairies and capture them.